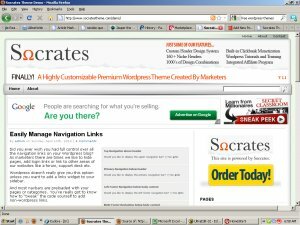 Yesterday, I came across Socrates, a new WordPress Theme that has some very newbie-friendly features that decrease the need for hard-coding. That You can Create Custom Headers On The Fly! Rosalind Gardner is a blogger, speaker and Internet Marketing consultant, best known for her “Super Affiliate Handbook“, (referred to by industry professionals as the ‘bible’ of affiliate marketing) and Rosalind Gardner’s Academy – a multi-media version of the book.